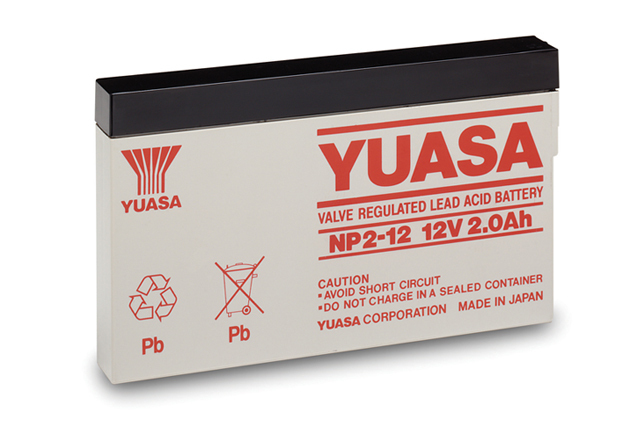 The Yuasa NP range of batteries are possibly the most recognised small sealed lead acid battery range on the market today. The NP2-12 is a compact, low maintenance design and perfect for smaller applications that require a reliable backup power source. The NP range is constructed to ensure there is no leakage of electrolyte from the case or materials using a strictly controlled sealing technique and manufacturing process. If you are looking for a reliable small sealed lead acid battery then you need look no further than the Yuasa NP battery range.